After spending three weeks in Dhaka, one of the most densely populated cities in the world, I experienced two cities emerging or coexisting. One city has promoted sustainable modes of transport since its inception and the other that is pointing towards unsustainable modes of transport as the economy grows and more people access motorized vehicles. 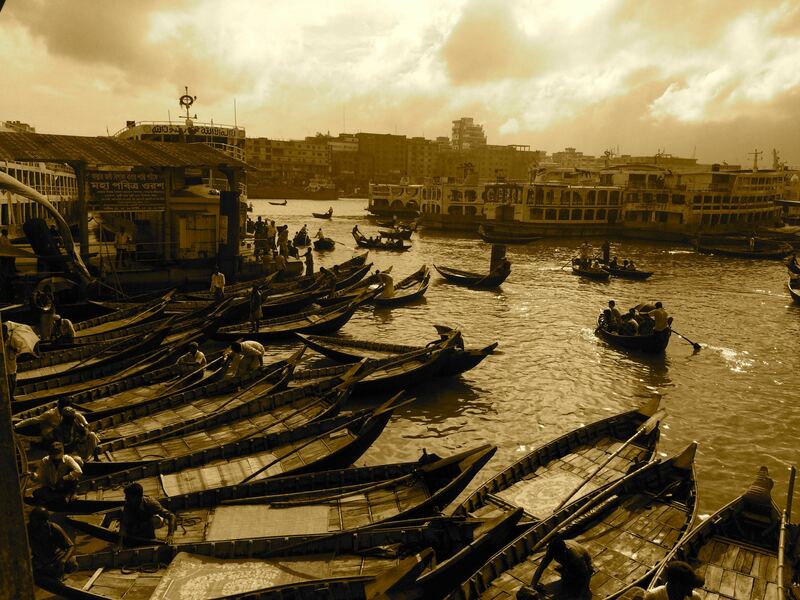 Dhaka is an urban landscape of never-ending traffic jams and sounds. With nearly 15 million inhabitants it’s one of the fastest growing metropolis in the world. 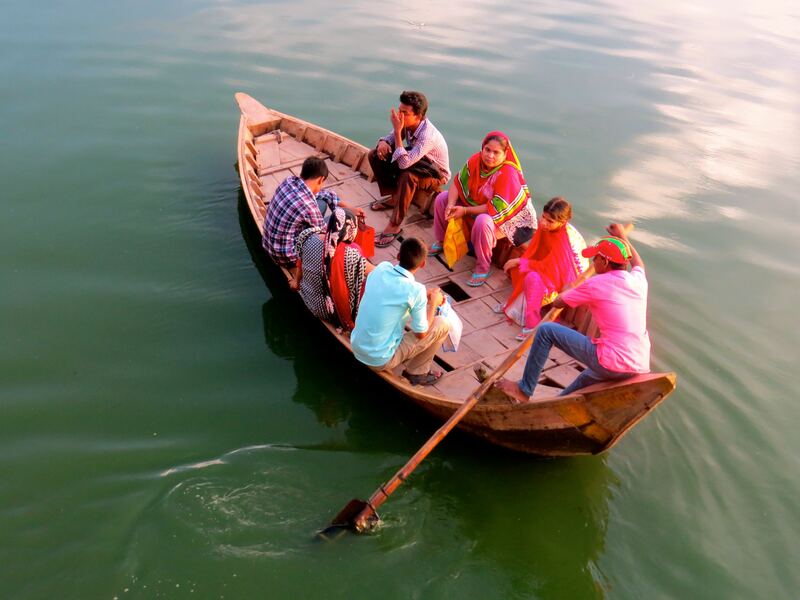 Every year Dhaka attracts thousands of people in search of a better job and life. As you move in Dhaka you experience a coalition of cars, buses, rickshaws, CNGs and pedestrians that try to move (or survive) in the cement jungle. The city never seems to stop. During day and night there are sounds from the roads and constructions sites. Within this context two models of mobility are emerging to build (or destroy) the future of Dhaka. One model is built from the past and history that goes towards the promotion of sustainable modes of transport. 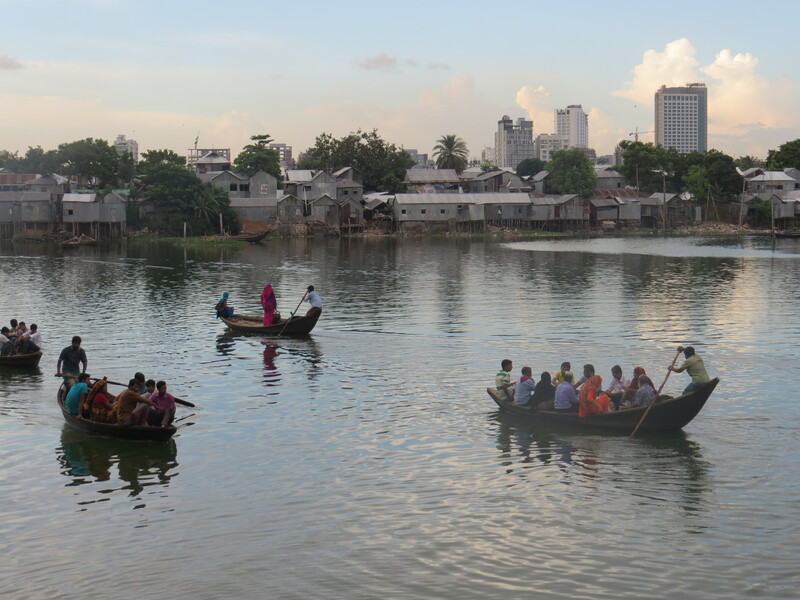 This sustainable city aims to use the territorial richness of Dhaka to move. In a city surrounded by lakes and rivers one of the historical modes of transport has been the boats that move with the power of a paddle and through the rivers as highways. 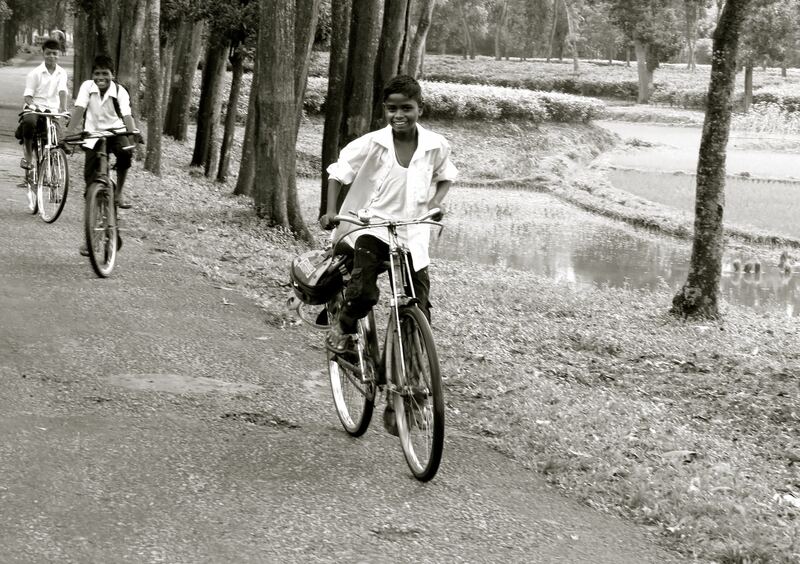 The second historical and informal mode of transport comes from the wheels and pedals of the cycle rickshaws. 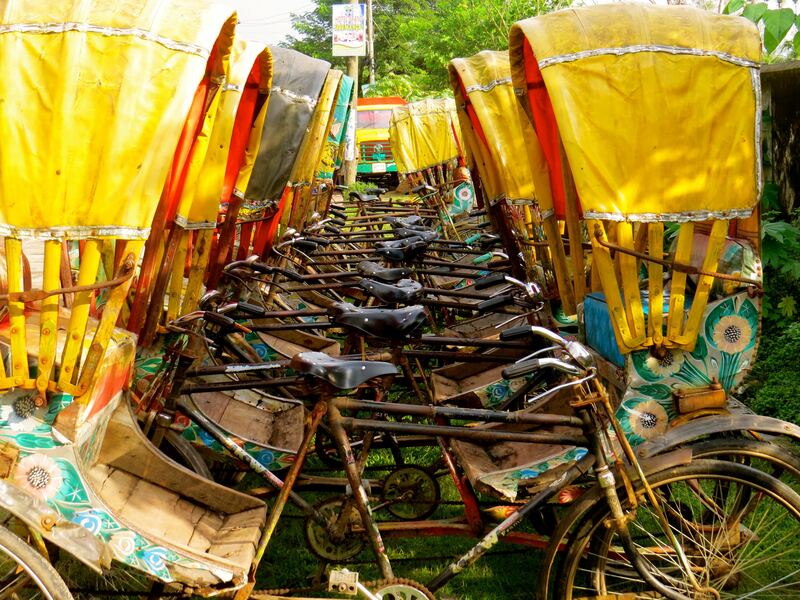 Dhaka has over 600 thousand rickshaws that move thousands of passengers’ everyday. The rickshaws offer a sustainable, economical and safe (most of the times) mode of transport. They also enable connectivity between different modes of transport such as the train and buses. However, these informal and sustainable modes of transport are in risk of disappearing. 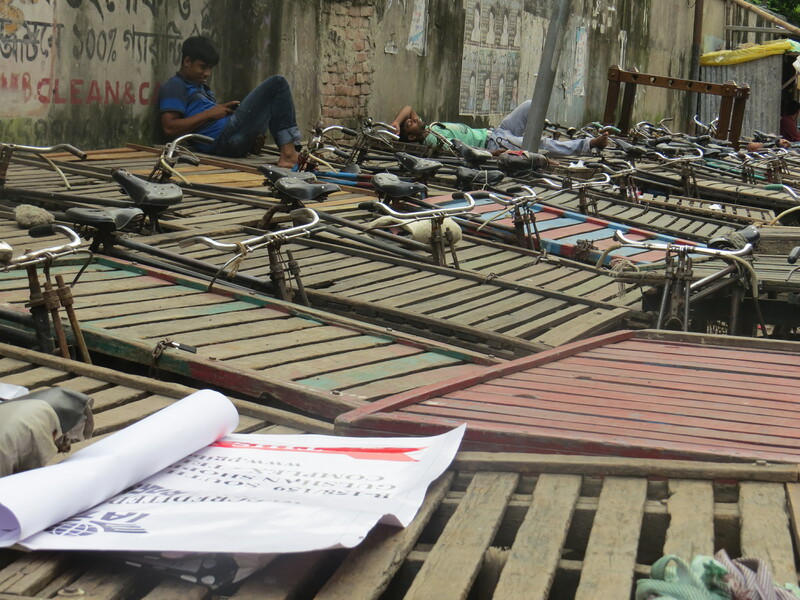 The government has started to limit the circulation of rickshaws in certain neighborhoods and has prioritized through highways and policy instruments spaces for motorized vehicles. The result… More traffic. 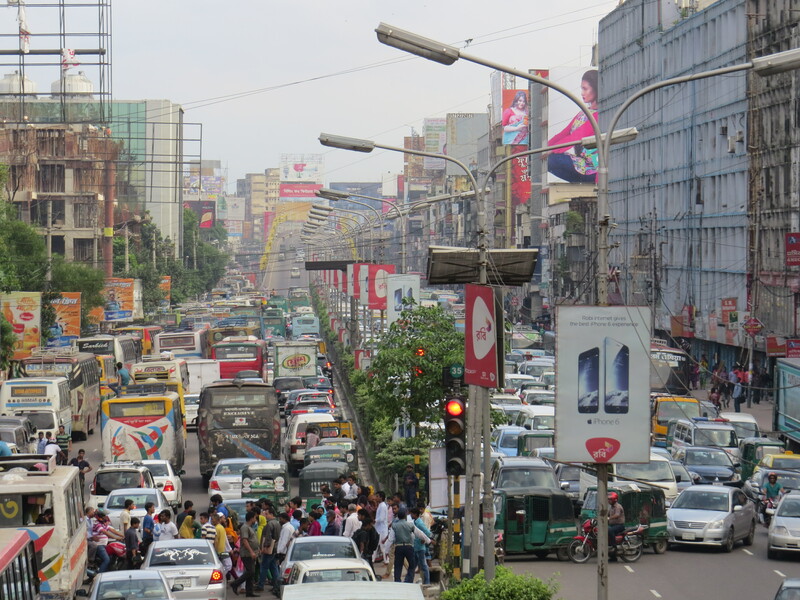 In the past years the number of vehicles in Dhaka has increased 10% every year. This has resulted in an increase of 5-6% of the carbon emissions in the city. Today Bangladesh is ranked 4th as the most polluted country in the world. Just a short 4 km commute can take more than 2 hours. 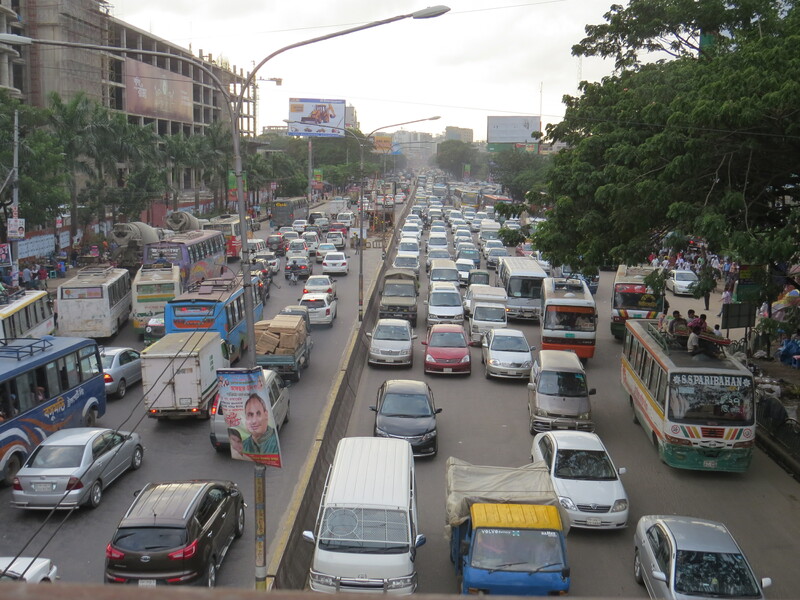 A recent study shows that the congestion in Dhaka can represent over 18,1 Billion USD every year. Facing continuous growth of traffic and congestion there has been a debate and dialogue in the government about the construction of a BRT line that will connect the north and the south of Dhaka. This project has been supported by international organizations such as AFD and the World Bank. However, not all parts of the government are convinced by this solution. There are parts of the government that advocate to construct more highways for motorized vehicles. At the end the same government is building elevated expressways in several parts of the city and planning to build a BRT. For the moment the car-city is winning the mobility decisions. As these two cities emerge within the same territory there is fear and hope for Dhaka. If the government and citizens decide to empower the non-motorized modes of transport that already exist and enable spaces for efficient public transport such as the BRT the future could be more green, healthy and sustainable. If the government (as in many cases in developing cities) decides to build more roads and highways then Dhaka will encounter more traffic, contamination and pollution in the next decades. Taking the wrong decision today will have a high social, environmental and urban cost in the future. I hope Dhaka makes the right decision that enables a sustainable city for all and not a city for traffic and highways.